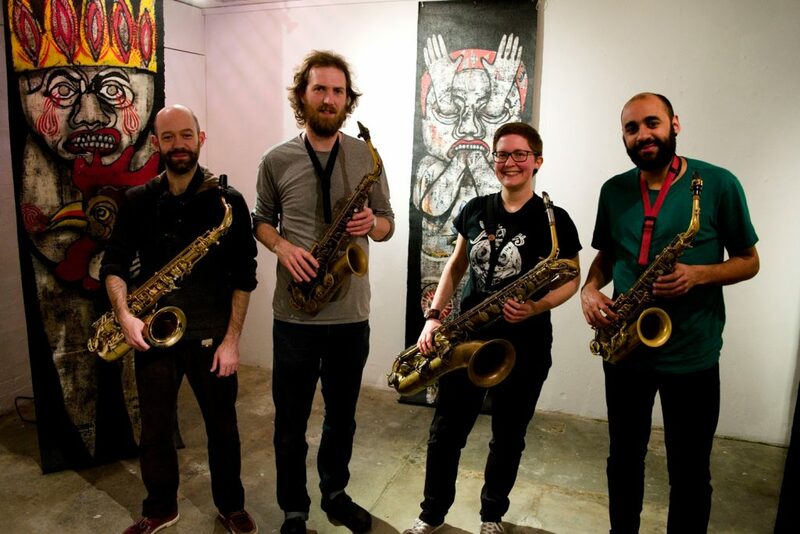 Left-to-right: Andrew Woolf (tenor sax); Tom Ward (alto sax); Cath Roberts (bari sax); and Chris Williams (sop & alto sax). The quartet played to a sold-out Portico Library at Manchester Jazz Festival 2015, and recorded their debut album live in Spring 2016 at a packed Hundred Years Gallery in London, documenting Tom’s music and capturing the infectious energy of a live gig. To accompany the album release they toured the UK, with gigs including Jazz North East in Newcastle, Out Front in Derby, Plink Plonk in Norwich and more. For the latest news & recordings of this group, go to the Sax Quartet News Category.